As the newest recruit, Soyza will not look at all out of place among the talented stars already assembled by Natural 8. He is the Malaysia and Asia GPI number 1 ranked player with over US$3,000,000 in live cashes and ranks 14th in the world in the GPI standings. He joins a roster of Natural 8 players which includes Kitty Kuo, Bryan Paris, Dong Kim and Henry Buhler. While speaking to Somuchpoker two months ago, Michael Soyza explained that he had only been pursuing poker full-time for two years. This very short span of time underlines just how steep his trajectory towards the pinnacle of the game has been. His recent tournament results have made him a very well-known player, but Soyza also has plenty of experience in cash games too, having started at $0.03/0.06 and worked his way up the ladder before he turned to poker as a full-time career. Since the announcement, he has been busy playing in the ongoing GG Series which has US$3.5 million guaranteed. So far, he has registered 129 entries, had 15 finishes in the money and cashed for a total of US$23,921. 3rd in N8GGS#7 for US$19,916. He also chopped the daily US$88 with Natural 8 pro Bryan Paris for US$4,996. Soyza’s most recent big live result came a few hours ago in the Red Dragon Jeju ₩60M Super High Roller where he took 3rd for ₩376,200,000 (US$335,760). 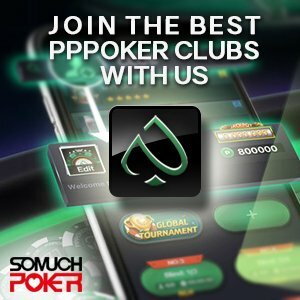 A full report of the event will be published on Somuchpoker.